A petition on the website Change.org calling on Southwest Airlines to cut ties with SeaWorld has garnered 27,000 signatures recently. Southwest offers promotional vacation packages and deals for customers who fly to the amusement park and even has a Shamu-themed jet. Meanwhile, SeaWorld continues to flout protests and unveils a new killer whale show today, claiming "‘Shamu Up Close' is the living story of SeaWorld and our passionate commitment to the care of these extraordinary animals." 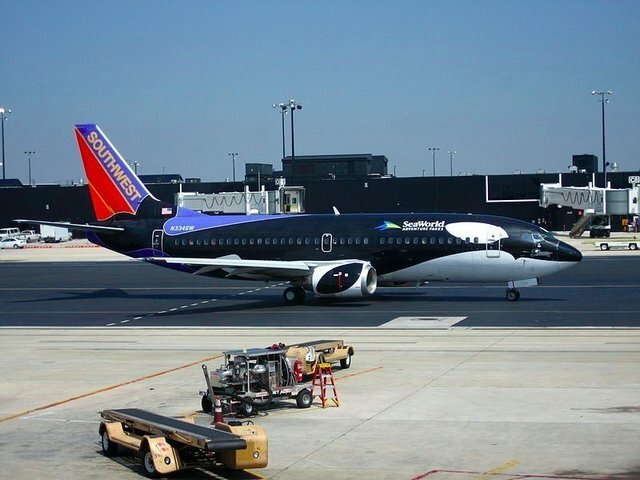 The airline company is the latest entity targeted by activists to cut ties with the SeaWorld -- a campaign brought on by publicity from the CNN documentary "Blackfish," which detailed alleged animal care violations at the park. Eight musicians, including Willie Nelson, Martina McBride and Heart canceled a concert series after similar petitions were made. Activists plan to hold a silent protest and deliver the petition to Dallas Love Airport on Friday. Southwest has yet to comment on the petition.